This is probably one of my favorite houses in the Springfield Historic District. I first saw it many years ago and it took my breath away then! The house located at 311 West 4th Street is a lovely example of Queen Anne influenced residential architecture in Jacksonville's most historic neighborhood. It has so many things going for it and is truly a unique offering in the area. Overlooking Klutho Park, the house features a large porch, a beautifully landscaped yard, a formal foyer with fireplace, several sets of pocket doors, original heart pine flooring, and so much more. If you love historic houses with loads of character, this house will not disappoint, I promise! 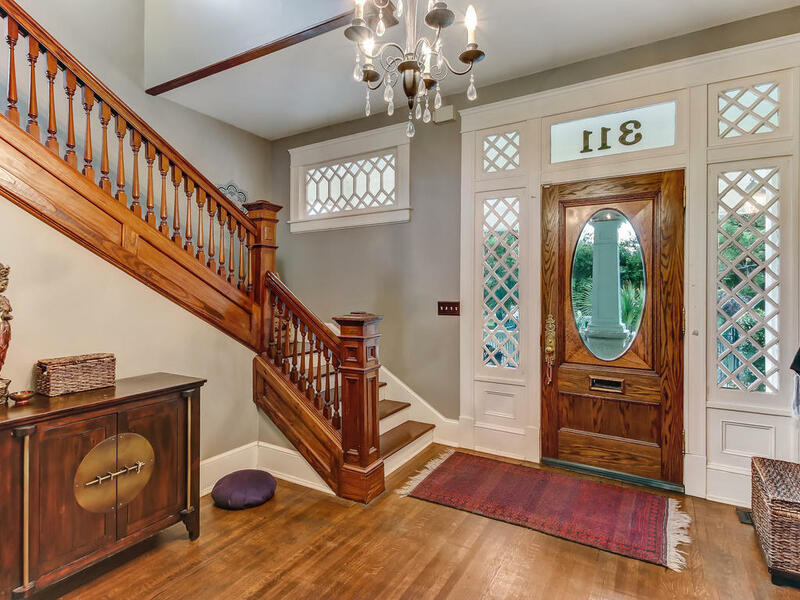 As you enter this home, you are greeted by a beautifully impressive interior - A graceful original staircase, and other original architectural features such as interior columns, high ceilings, and more. Don't forget to check out the original curved wall in the hallway upstairs. The house has a wonderful floorplan that flows and is perfect for entertaining. You will be falling in love. Although a historical home full of character, the house features a newer roof, updated mechanicals, including a tankless water heater. You can move into this home with peace of mind concerning its condition as it has been very well maintained. As mentioned, Klutho Park and all that this lovely park offers is just across the street. Klutho offers greenery, beautiful scenery, and a great setting for monthly social events such as Second Sundays and the Annual Springfield Porch Fest. This house is now being offered for $299,000. Contact us today for a private showing while this house lasts!